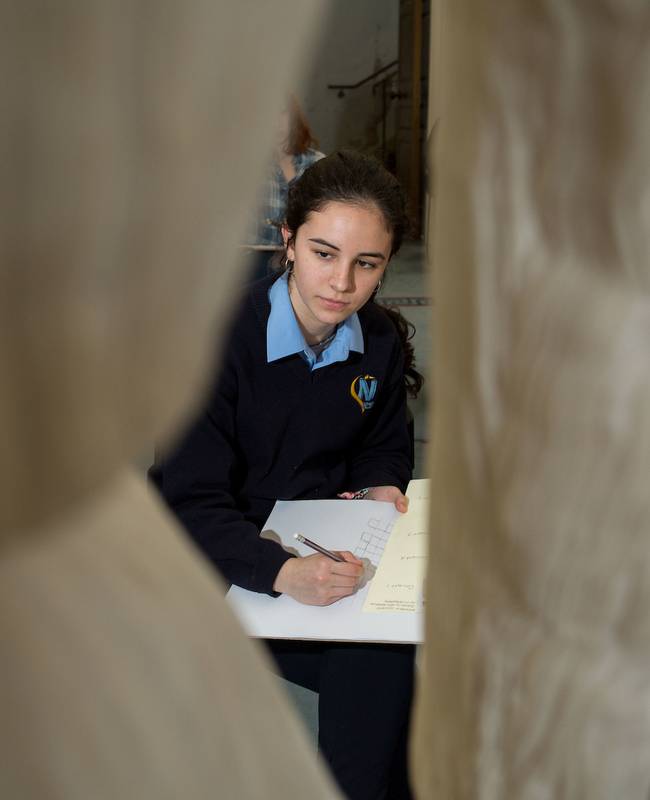 Secondary school students from Tipperary were among 32 budding designers selected to take part in a unique fashion design workshop facilitated by fashion designer and lecturer Ruth Duignan from the Limerick School of Art and Design with the work produced in the course of the workshop set to go on display to the public later this year in the Hunt Museum. The “Past Projections: Future Fashions” workshops took place over two days in both the design studios of one of Europe’s most acclaimed fashion design colleges - LSAD and among the illustrious Sybil Connolly collection at the Hunt Museum. The workshops allowed young budding designer from all over Ireland to discover more about the craft of fashion and how to be part of the fashion industry’s promising future. Using Sybil Connolly’s collection as inspiration, the students produced their own original designs which were digitally captured, manipulated and projected onto white t-shirts. The finished pieces will then be showcased at an exhibition at the Hunt Museum in May. In applying to take part in the workshop, the students selected a Sybil Connolly design from the museum’s online archive with a brief proposal outlining how they would redesign it. Mike Fitzpatrick Dean, Limerick School of Art & Design and Director Cultural Engagement said he was encouraged by the creativity and dedication of the students who applied to take part in the workshops. “Many of Ireland’s leading designers learnt their craft and began their careers here at the Limerick School of Art and Design. Thousands of designers have developed their talent in the college since it was first established in 1852, and yet there is always a feeling of something new, fresh and original with every new enrollment,” he said.